For Moped Rentals, SBI Moped Rentals LLC is at the Edgewater Hotel on the main street in downtown Put-in-Bay just a one block walk from the Jet Express or a 5 minute cab ride from the car ferry. Mopeds are Tomos Brand single rider mopeds and a fantastic way to tour Put in Bay. They will run all day on a single tank of fuel and are easy to operate. 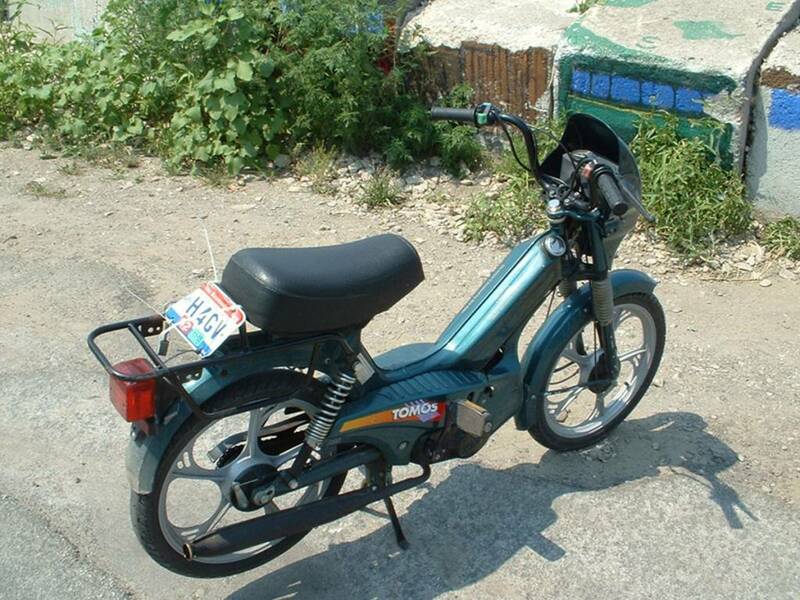 You must be 18 years of age to rent or operate a moped. Rental rates are below. Reservations are wise and available by CLICKING HERE. All mopeds from Delaware Carts are licensed and street legal. They all include proper safety equipment including headlights, taillights, and turn signals. When operating a golf cart or moped, please yield to any traffic that is bigger than you and let them pass. If you’re riding a bicycle, please ride single file and to the side of the roadway. Golf cart and moped operators should also yield to any larger traffic. Carts don’t move that fast and can bottleneck traffic such as busses or taxis which are moving people to and from the ferry services. If you decide to stop and sightsee, stop your cart or moped and move as close to the right shoulder as possible to let larger traffic pass and then continue on your way. Golf carts and mopeds are licensed vehicles on Put-in-Bay Island and therefore are operated under the same set of laws as any other motor vehicle (automobile) in the State of Ohio. This means you must possess a valid driver’s license and proof of insurance. Please do not let anyone operate your golf cart or moped unless they are a licensed driver. Be aware of your surrounding traffic at all times. Move to the side for larger and faster traffic. Do not stop your cart or moped in the roadway, or on the edge of the road to sight-see. Do not drive onto private property. Moreover, Put-in-Bay is mainly residential property privately owned by individuals. Wear your seatbelts. So, make sure your kids are wearing theirs. Stay seated at all times until the golf cart comes to a complete stop. Also, be sure to have your seatbelt fastened. Be considerate of island property owners. Also, do not drive thru yards or on private roadways. If you want to bring your own golf cart to the island, you must contact your local Ohio Bureau of Motor Vehicles to get your cart registered and licensed. Also, your cart must display an Ohio license plate from the Bureau of Motor Vehicles. Make sure you bring your registration along.